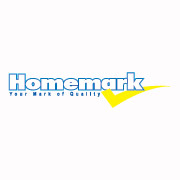 Homemark focuses on two major markets, direct response and retail. To effectively reach the direct market the company is able to incorporate sound marketing practice and local knowledge through the Internet and websites, the 24 hour Home Shopping Channel (HSN), infomercials, commercial TV advertising and print advertising such as product catalogues. This enables strong presence and brand awareness in the market place. To cater to all brand requirements a full in-house graphic design studio, production, editing and audio suites are in place with a highly trained and experienced staff contingent.